Alex Brandin has been a Seraphim Blueprint practitioner since 2005 and was initated to be a teacher of this system in October 2006. Initially, Alex did teach primarily in the US and Japan. He did introduce the Seraphim Blueprint to Germany in 2010, and to Switzerland and Turkey in 2012. Alex was born and raised in Germany and relocated to the US in 1997. He has been residing in San Francisco since 2004. Alex is traveling frequently to present the Seraphim Blueprint to spiritual seekers worldwide, and to share the unique energetic tools of this system that assist us on our path to Self-Realization. 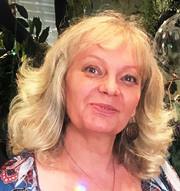 Alex contributed the advanced courses "Guardians of Gaia", "Seraphim Blueprint Fusion", "Seraphim Healing Advanced" and "Seraphim Aqua Dynamics", that have become integral parts of the Seraphim Blueprint teaching curriculum. His workshops can be taken either classroom style, in phone sessions or via webinars. He can be reached by phone in the US at +1 (415) 237 0732.